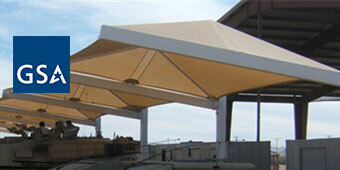 USA SHADE is a full-service design/build fabric shade structure manufacturer located in the U.S. Since 1991, we’ve been the pioneers and innovators of fabric-based shade in North America and have been the dominant, long-standing leader in our industry for well over a decade. USA SHADE fabric structures are designed, engineered, manufactured, and installed by our experienced team of shade professionals. We are ready to assist you with your shade requirements throughout the entire process: from concept and design, to fabrication and construction. There has never been a more critical time for shade. Our products shield vulnerable children and adults from the harmful effects of the sun’s UV rays. Add protection, value, and visual distinction to any space with fabric shade structures from USA SHADE. Why Choose Shade Structures from USA SHADE? When it comes to shade structure manufacturers and designers, USA SHADE is in a category all by itself. 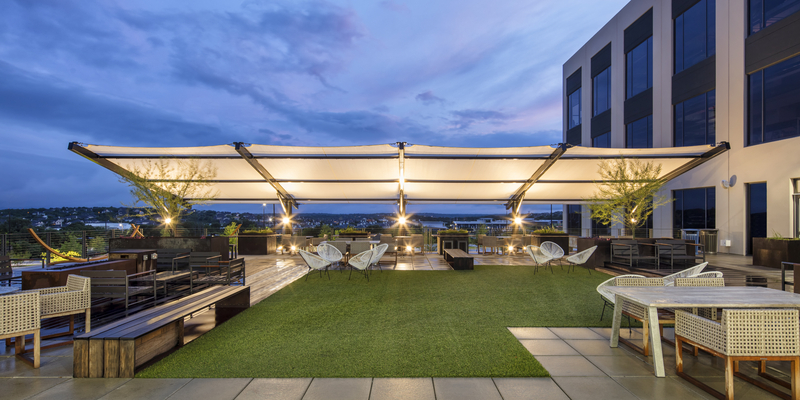 USA SHADE is one of the leading full-service, design-and-build commercial shade manufacturers in the nation. Our extensive design and manufacturing capabilities put you in the driver's seat. Not only do we offer a wide range of architectural shade structures and shade solutions, but we can customize options for you as well, so you get exactly what you're looking for in a shade design. In addition to having versatile product applications, USA SHADE also has Division of the State Architect approval. In fact, we are the first fabric structure manufacturer in California to get DSA approval, which can bring you added peace-of-mind wherever you plan on adding your project! Contact USA SHADE to discuss custom shade solutions or browse our selection of shade options today. You’re sure to find plenty of options created not only with sun protection and comfort in mind, but also innovative, aesthetically-pleasing designs. Call to learn more! USA SHADE is the first fabric structure designer/manufacturer to have received Division of the State Architect (DSA) approval. We’re GSA approved. 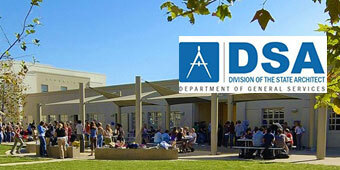 Learn why USA SHADE's GSA department is the right choice for your government funded project.